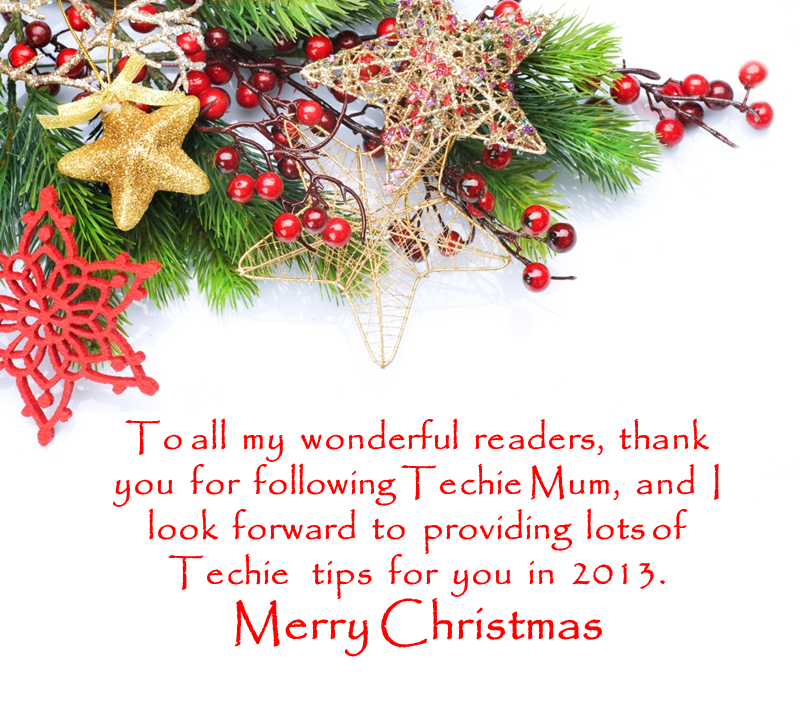 Thank you all for following Techie Mum this year. I'll be back with more techie tips and hints in 2013. Please leave me a comment if there's a topic you'd like to know more about and I'll promise you a New Year post.